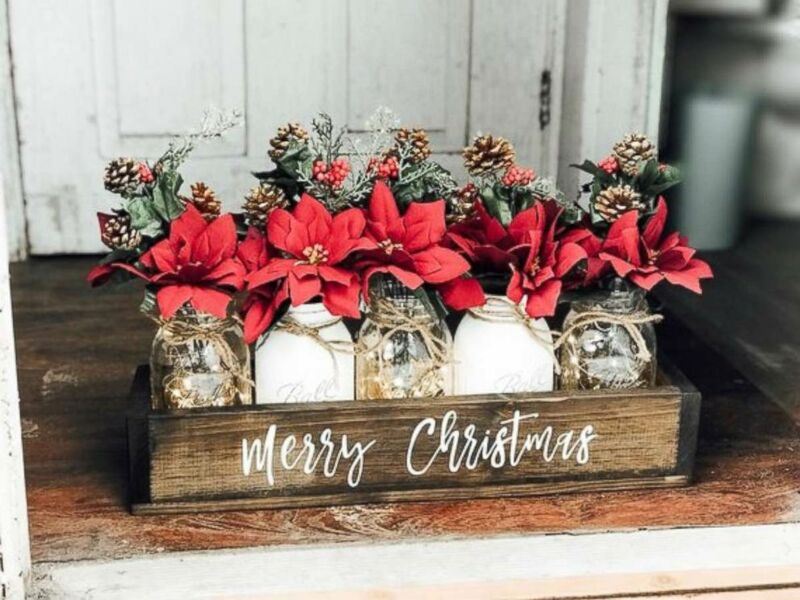 These Christmas-themed mason jars are available on Etsy. With the news that you can now order your live Christmas tree on Amazon for delivery, it got us at "Good Morning America" thinking: What else can you have delivered for Christmas? Gifts, certainly. But what else? Then we took it one step further. Would it be possible to have your entire Christmas delivered to your door? Could you Christmas without ever leaving your house? If you're hosting people for dinner or brunch, there's no way you can do it without making a trip to the grocery store. Right? Maybe not. Goldbelly is known for it's curated specialty products available from the nation's most iconic restaurants. 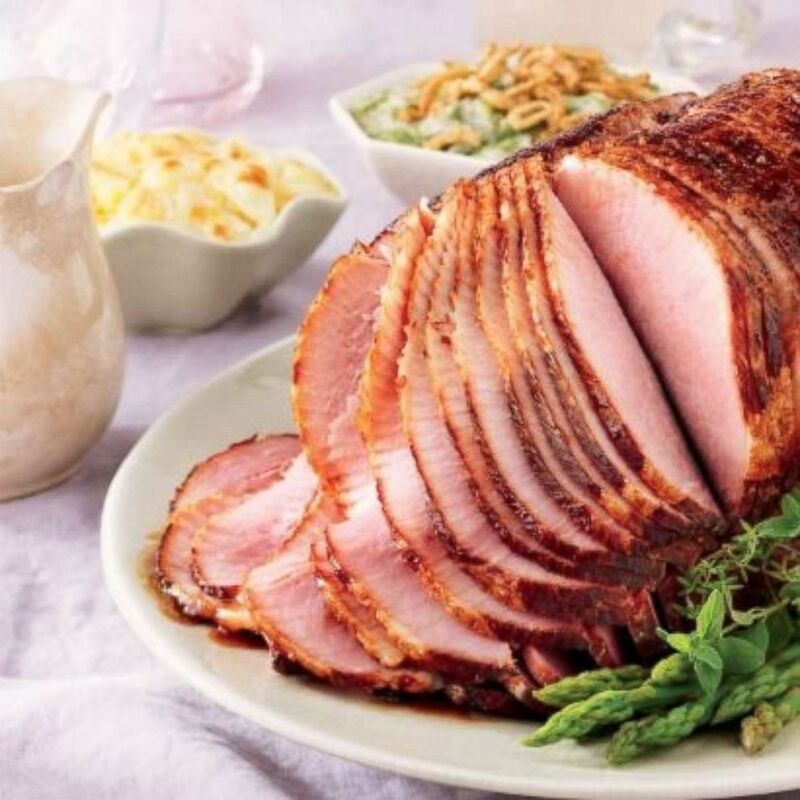 Their Mail Order Christmas Dinner collection features everything from baked brie to spiral cut ham to lamb loin roast to Oprah's favorite triple berry cake delivered to your door. Specialty hams are available on Goldbelly. Simply order from their web site and pick your arrival date. There's plenty of time to plan your mail-order feast between now and Christmas Eve! MORE: There's a Santa shortage for homebound kids. Here's how to help. With Goldbelly, all you need to do is pop your food in the oven and serve. But if you would rather not lift a finger, Feastly is the option for you. The site pairs private chefs with dinner parties and takes care of everything from set up to clean up. 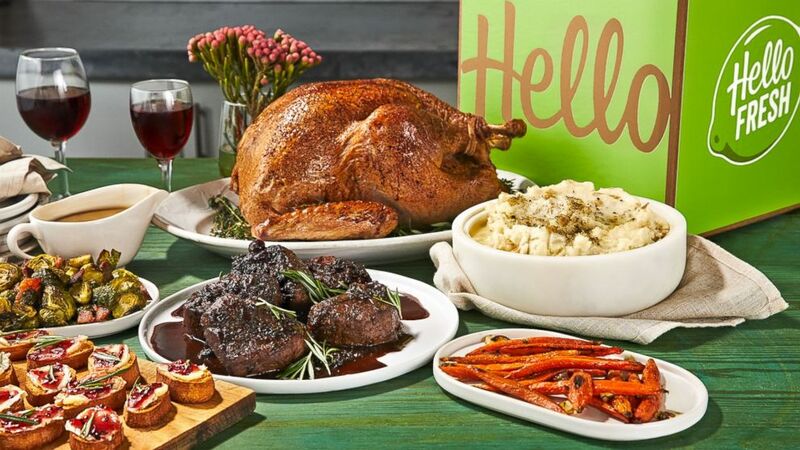 One more option: New this year, meal-kit delivery service HelloFresh is offering its first-ever Holiday Box for home cooks seeking a holiday hack this season. The box (available in two versions) includes recipes and ingredients to make a complete holiday meal for up to 10 people and will be available for delivery starting December 19. The options include the Beef Tenderloin + Sides Box ($129) or the Turkey + Sides Box ($159). Orders must be placed by December 16. No current HelloFresh subscription is required. Holiday meal kit from HelloFresh. Amazon made big news with it's introduction of live Christmas tree delivery and it's time to get clicking if that's on your list. But Amazon is not the first or only company to deliver trees. The Living Christmas Company delivers live trees in the Los Angeles area and picks them up at the end of the season and re-pots them. The same trees are then "rented" out the following year. It's an environmentally friendly way to have a Christmas tree. Of course, if you don't require a living tree, there's many options including Amazon, Wayfair and Walmart. Sure, you can call the local florist for a poinsettia delivery. And it will be lovely. 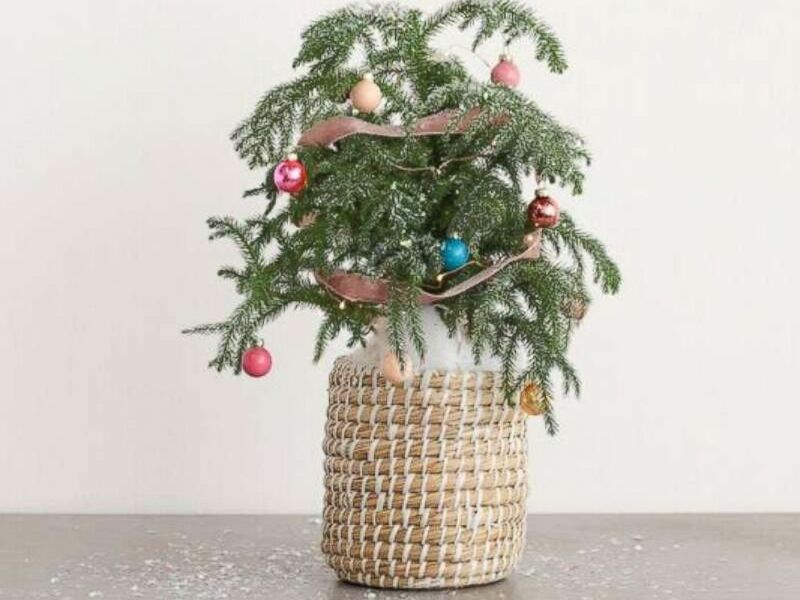 But you can also order this adorable mini-tree that comes with tiny ornaments for you to deck it out. The "North Beach Noel" is Italian Stone Pine and it will be the talk of your holiday. 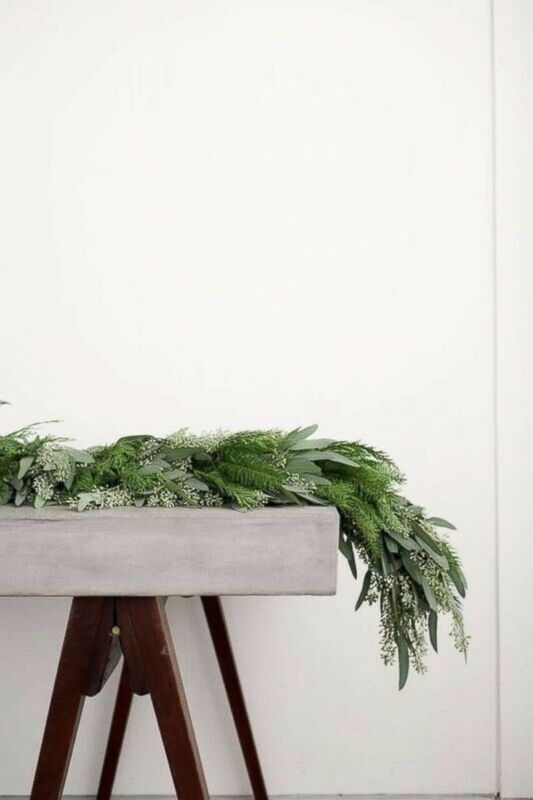 The mini-tree, plus this gorgeous garland, can be ordered from Farmgirl Flowers, famous for their design-forward approach. And of course, Etsy delivers to your door. 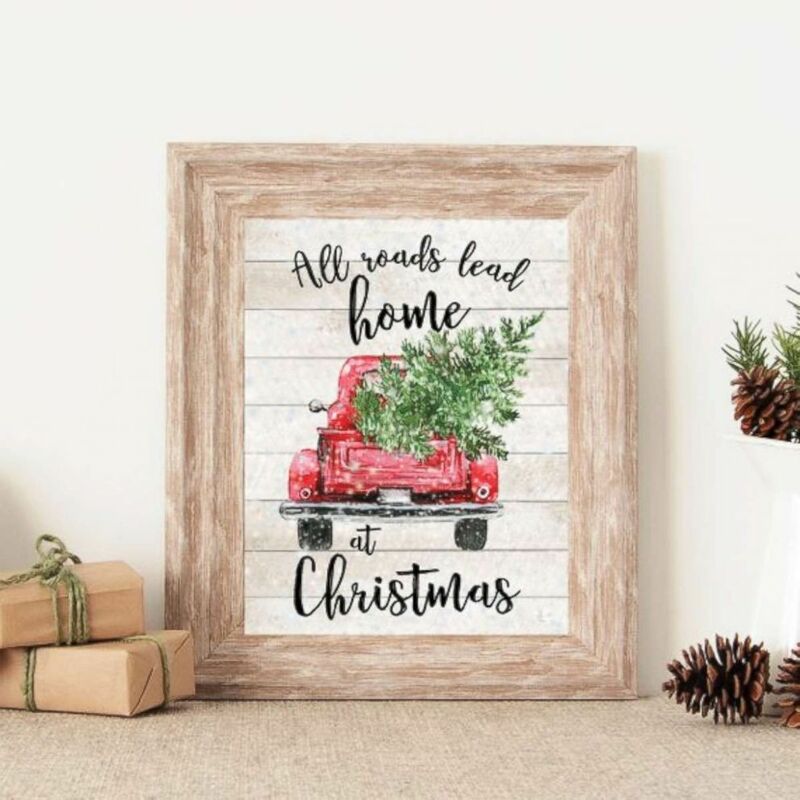 From throw pillows to mason jar sets to downloadable prints, you can wrap up your decor with just a few clicks. Not in the mood to to battle the crowds at the mall for a photo in Santa's lap this season? Not to worry: For those willing to pay a price, there's Santa for Hire. Choose from professional Santas near you for an at-home visit. As long as you're getting Santa, you may as well book the carolers too. After all, there's no guarantee free ones are going to show up at your door. Gigmasters has a wide selection of carolers for hire; simply plug in your home city and choose.